But then something tugged at me. Wait, I thought. Did Medium really just ask me to connect my identity in Medium, to … Facebook? No, I countered. More likely they are just testing it out, seeing the uptake, learning. I’d certainly do the same. 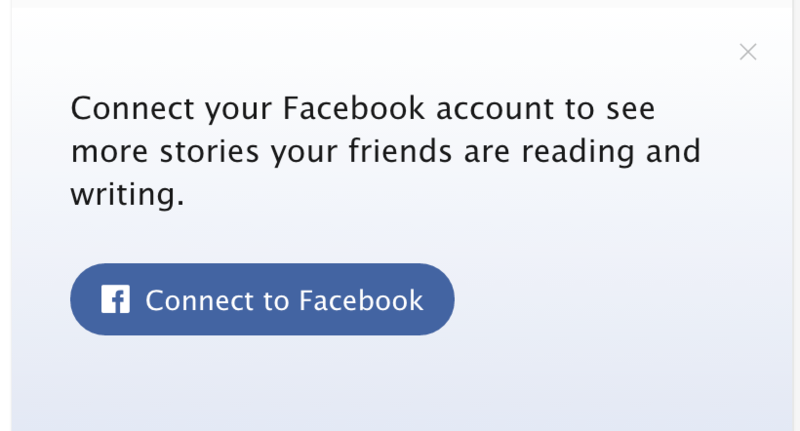 But alas, and indeed, the same Facebook prompt appeared under my NewCo identity. Unless I got extremely lucky (in terms of odds, anyway), this doesn’t appear to be a test. When I first logged on to Medium (and most likely, when you first logged on as well), it asked me to connect to Twitter. That’s how I got my first 18K or so “followers” on Medium — they were all the people both on Twitter and on Medium — and I accepted that deal. Medium also auto-followed anyone on Medium that I also followed on Twitter. OK, cool. Gas, meet carburetor. Now as has been discussed to the point of amnesia, Twitter employs a public follow model, and at its core is driven by a publicly declared interest graph. Facebook, on the other hand, is driven by the perception of a private friend graph. I say “perception” because I think the newsfeed (and therefore the lion’s share of the Facebook experience) has morphed (evolved? mutated?) into something else entirely — it’s very clearly now a cross breed of true friends and family with … well, whatever the Like button has come to mean, as well as the new follower model the company has created for public figures and brands. Oh, plus about a hundred (a thousand? we don’t know) other things that are part of a rather murky (but still, well intentioned!) secret sauce. But I digress. The point is, someone is trying to put their fish sticks in my chocolate, and I’m not sure I like it. 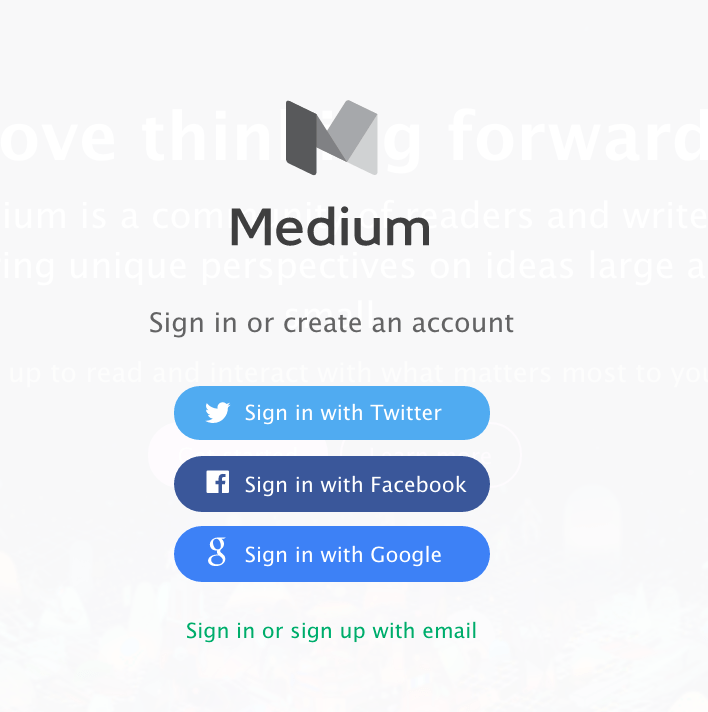 I wonder if the sign up process now has an option to create your Medium account purely by connecting to Facebook? Hang on a minute…..(creates icognito tab…fires up medium.com…oh wait…huh…) it’s been two years, you can choose Twitter, Facebook, or Google. Jeez. Which means that there are neighborhoods here in Medium — those who logged in with Twitter, and those who logged in with Facebook (I bet the Google option is a still a pretty small zip code — but interesting!). Is there a “Facebook Medium”? Who out there is reading and connected via Facebook? What’s the experience like? Anyone connected BOTH Facebook and Twitter? Or…all three?! Please, do enlighten me. We must co-create an ethnography of the place! I don’t really see why this is a bad thing… am I missing something here?